Welcome to Adams Autoworx, your Mazda dealer alternative. Our Castro Valley Mazda service and repair shop is second to none in providing Mazda owners with superior quality repairs, and superior customer service. At Adams Autoworx, our nationally ASE certified technicians have the advanced training and latest diagnostic equipment to repair your vehicle, usually the same day. Mazda has a well-deserved reputation for making economical, reliable vehicles. 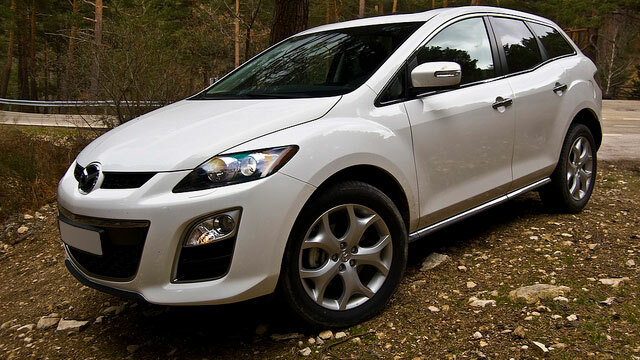 Still, some models have been known to experience clutch problems, and some of the older Mazdas faced transmission issues, but overall Mazda is a no-nonsense vehicle that gets you where you want to go without taxing your pocketbook. We recommend regular maintenance, including following factory recommended schedule of services, to maximize your transportation dollar. Regular service prolongs engine life, improves gas mileage, and gives our Mazda mechanics opportunity to spot and correct impending problems – before they lead to breakdowns and expensive repairs. Servicing your Mazda at Adams Autoworx will keep your manufacturer warranty in force. So whether your Mazda needs water pump replacement, has the “check engine” light on, or simply needs an oil service, we are happy to help. Schedule an appointment online, or give us a call.